Washington, D.C., Mayor Marion Barry may become Professor Barry. Concerned associates of the famously ineffectual city leader's are discussing a plan to lure Barry away from a fifth mayoral run this fall. The strategy: offering him a six-figure salary to teach urban politics at a D.C.-area college. In late March, several schools, including George Washington University, Howard University, and Georgetown University, were said to be entertaining the proposal--as was Barry. But after the Washington Post reported the details of the negotiations in early April, both sides appeared to back off. A letter to the Post berated the local academic institutions for endorsing a "thinly disguised payoff." "I think the mayor might end up in the movies," the Post quoted one aide as saying. The brouhaha over Harvard's still-unfilled chair in Holocaust studies continues. Fed up with the bickering and indecision, Kenneth Lipper, who donated the money through his family foundation, has decided to pour more than $1 million of his $3 million pledge into the Harvard Medical School instead. According to reports, the school's Holocaust studies search committee has disbanded. Daniel Goldhagen, the author of the controversial Hitler's Willing Executioners, had been a leading candidate for the proposed professorship, but the committee got bogged down in infighting. This fall, Goldhagen's supporters and detractors will have another chance to duke it out when he comes up for tenure in the Harvard government department. 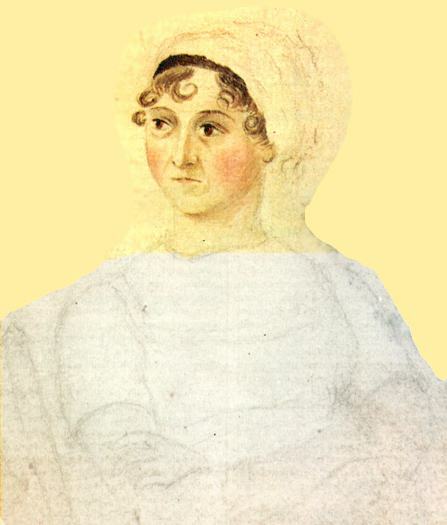 Traditionally, most scholars have believed there's only one existing portrait of Jane Austen, a rather unflattering sketch by the novelist's sister. But a debate now raging in the Times Literary Supplement suggests otherwise. Princeton University Professor Claudia Johnson wrote an essay in the March 13 issue, arguing that an unsigned, undated portrait owned by descendants of Jane's brother Edward is most likely of the prepubescent Jane. She cited the work of Richard James Wheeler, the author of The Rice Portrait of Jane Austen: The Ill-Conceived Controversy, who claims that Electronic Facial Identification Technique testing performed by independent experts has all but confirmed that the portrait is of Austen. Curators and costume historians remain skeptical. "It is a pretty portrait, and one can understand how many people (including some gullible American academics) wish it to be an early image of one of our most-loved novelists," wrote Aileen Ribeiro, a disgruntled costume historian. "But on costume grounds the portrait cannot be [of] Jane Austen." After an uprising by angry readers, the chancellor of the University of Arkansas has reversed his decision to close the school's press. Chancellor John White had announced that he would shut down the money-losing operation. "University presses are expected to be self-sustaining," White explained. According to the Chronicle of Higher Education, authors, librarians, and editors across the country protested, noting that most university presses operate with a deficit. Among the press's defenders was its co-founder Miller Williams, an accomplished poet who read one of his poems at President Clinton's 1997 inauguration (and is the father of country music singer Lucinda Williams). A recent $1 million gift from the Tyson Foundation, established by the family that owns Arkansas poultry business Tyson Foods, should help keep the press on its feet. A twin plague of lice and fungus has attacked the undergraduate library at the University of California-San Diego. First reported last fall, the epidemic has devastated the entire collection. Eighty thousand books were placed in quarantine in October, then sent to a local deep-freeze facility where a weeklong sub-zero treatment was used to exterminate the lice. A thorough cleaning followed to remove the mold. The volumes are available again but won't be returned to the stacks until the damp library itself gets renovated. It may be just as well: The medical press reports the book-eating fungus can cause hallucinations. People are most likely to remember what they've read when the text is printed with a ragged right margin and a solid line running straight down the middle of the page. That bizarre finding is reported in the Journal of Scholarly Publishing's latest issue, which cites a 1991 study on reader retention of information. Other exciting patterns tested included: "justified + no rule," "flush left/ragged right + no rule," "justified + middle rule." Can a new speed-reading manual be far behind?